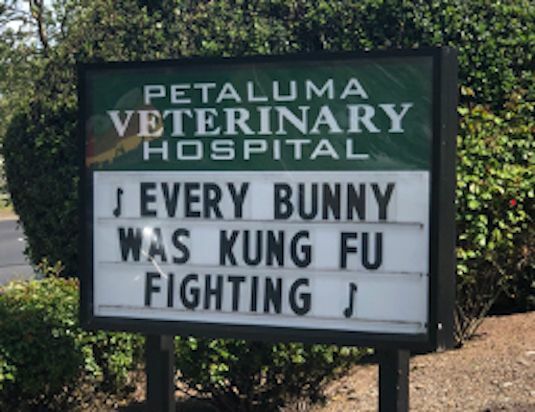 It is extremely comforting to us to have the professional, knowledgeable and caring support for our two little furries by the Petaluma Veterinary Hospital. We are very grateful that our Pede and Ava receive the best care that we can hope for. Each of our dogs have been cared for at this fine Clinic for about 20 years now, which I believe, speaks for itself. A warm thank you its entire Staff. - Gesine A. Best Vets around! We started taking our pets there in 1994 when Dr. Czarnecki was working with Dr. T. We had Sarah - yellow lab, and Lance - kitty cat). When Dr. C left then Dr. Smith started and she took great care of Sarah when she came down with bone cancer in 2006. She has a great sense of humor and is very caring and knowledgeable. All the staff is great, too - everyone is super helpful! 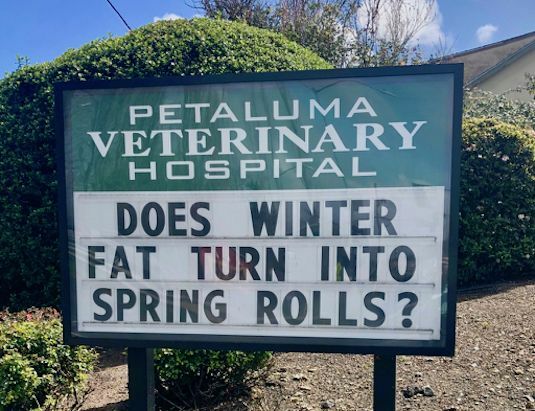 - Carol B .
Petaluma Veterinary Hospital is the great place to go, everyone is so caring and my pets get the best care ever. If I could change the doctor I go to I would myself go there for my medical needs and maybe I would get a good treat too.​​​​​​​ - Julie A.
I have been with PVH for several months and am so pleased to have switched from my longtime vet because of extreme dissatisfaction. I am so happy I made the switch and that my furkids will be well taken care of by Dr. Smith and staff.​​​​​​​ - Betty H.
We have been going to Petaluma Veterinary Hospital since 1994 and even when we moved to San Rafael we made the weekly trip up when our Yellow Lab Sarah had bone cancer and had to have weekly chemo treatments. Dr. Smith and Dr. Titchenal are the best. When we started bringing our pets there, it was Dr. Czarnecki and then Dr. Mohr then Dr. Smith arrived. All were and are fantastic. The practice is clean, efficient, friendly front office staff, excellent vet techs, excellent care all around. They won't talk you into expensive treatments if you don't need it - they are honest and trustworthy and very accommodating. I always meet someone new when we arrive with our pets (doggie and kitty) and their pricing is right on par. Highly recommend! - Carol B.
Drs. Smith and Cantrell's bedside manner is exceptional, the kind all human-medicine doctors should have. I called late in the day, as they were leaving, worried that my dog had an infection. Dr. Smith came in early the following morning, before clinic started, to see my dog. I encouraged a friend to switch to this practice. Her dog had been established for several years with another practice, just had her annual visit, and needed a vaccine on short notice. Their soonest appointment was three weeks later. 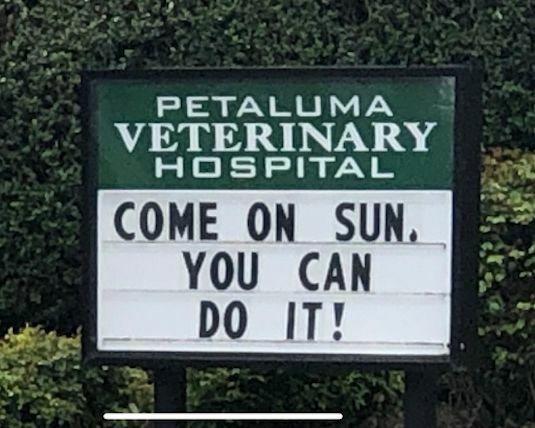 The Petaluma Veterinary Hospital offered an appointment two days later for a new patient appointment and vaccine. Another friend's dog had a complex mass in his neck. My friend was very impressed by Dr. Cantrell's surgical skills and how closely the staff monitored her dog's postoperative status. Exceptional care requires dedication and hard work.​​​​​​​ - Stephen W.
We have had the best treatment at this hospital. We had a recent scare with our beloved pet and Dr. Smith was incredible. I was driving home from work at about 10:00 pm and I received a call from an unknown number and to my surprise it was Dr. Smith. I was sure this meant bad news but, on the contrary, it was great news. The tests had come back negative and she was calling with the good news because she wanted me to have a good nights sleep. How compassionate and kind is that? Truly appreciated. - Sheila D.
Dr. Cantrell made sure we had the best surgeon, I felt I had a full understanding of my dog's care, and that he was always a priority. Aftercare was thorough and Dr. Cantrell always made sure to check in on him, I always felt I had her full support and that she was always available if we needed help. When I hand my pet into someone else's care I want to feel that they are safe, loved, and given comprehensive care. I have found that at PVH. I trust them completely with all of my animals because I know they have their best interests at heart. Today my lab is a happy, healthy tripawd, he absolutely adores his doctor and loves visiting his friends at PVH. Thank you all so much for everything you do! - Tatyana M.
I found Dr Smith when my vet was not available and she was recommended and we were able to be seen that day, She immediately diagnosed my dog with prostate cancer (my previous vet had said he had a urinary infection)! Sadly my baby died two weeks later. Dr Smith and her staff were amazing with him. We rescued another pittie and of course went to Dr Smith. She has been awesome with him; he is scared there but still gives kisses to Dr Smith. She is gentle with him, always getting down on the floor to talk to him. A few months ago my little Daisy wasn't feeling well and Dr. Cantrell fit her in the very next morning She ended up needing a pretty serious surgery. Dr Cantrell did an amazing job with her, called everyday to check up on her, amd saw her everyday to make sure she was ok! Today you would never know she had such a big surgery- you can't even see a scar!! 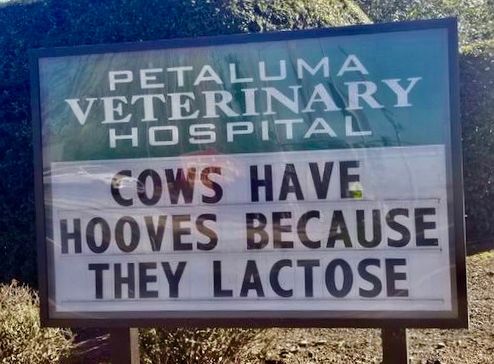 I wouldnt hesitate to recommend Petaluma veterinary!! The staff is so amazing, kind and helpful! 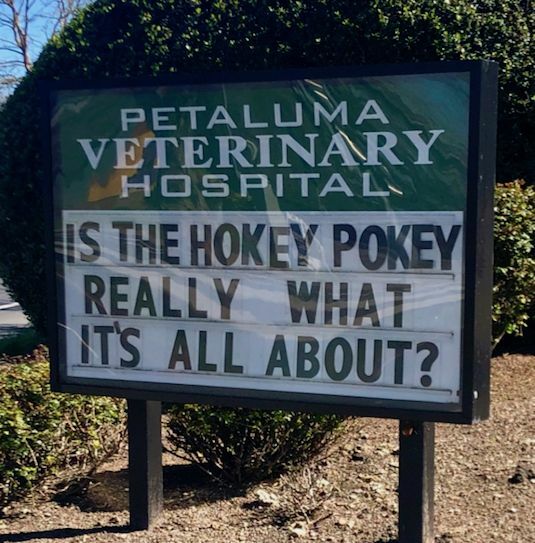 I just changed to this veterinarian hospital for my pet care for a few reasons. First, my vet of many years sold the practice and I continued to go there but noticed some things I wasn't happy with. So I changed my puppy Gracie to having a checkup and vaccination to there at Petaluma Vet Hospital! I love the staff !! And Dr Cantrell was so efficient and most of all intuitive!! My Gracie was happy there amd she was handled with love! So DrCantrell is my new vet! - Trudy E.
How scary it is to see your most beloved pet and family member suffering. It's such an emotional time yet you need to find a vet to save your friend, with so many options who do you call? I trusted my friends and one after one said PVH. I didn't want to gamble the life of my pet. I needed to consult someone who knew and cared about me and not just a random yelp review. ​​​​​​​Well now I find myself on Yelp. If you read one review for a animal hospital READ THIS ONE! My little furry friend is basically a senior citizen and seeing him limping in pain, with a major cut on his leg I honestly thought his life was over. Doctor Smith and staff at PVH literately saved his life and with that mine. He is my most treasured companion and the thought of losing him is unbearable. Not only did they save his life they followed up with his progress weeks after, who does that? 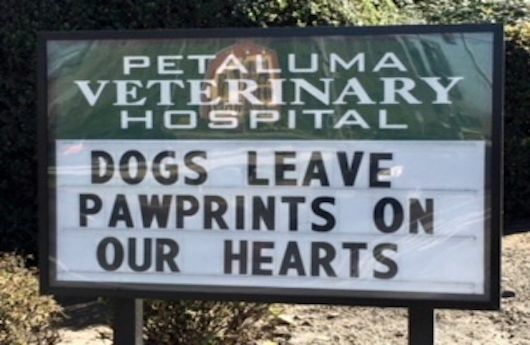 PVH does... - Ron N.
We have been taking our dogs to Petaluma Veterinary Hospital for over 30 years and have always found the medical staff and office staff to be top notch. Both Dr. Titchenal and Dr. Smith have been excellent to work with and this morning we had a first appointment with Dr. Cantrell and she, too, was superb. We especially were grateful to Dr. Smith who determined one of our giant Schnauzers was severely allergic to standard immunizations. You can't do better anywhere else. - Frank O. Been clients of Pet Vet since '93. Dr. Smith and Dr T are top notch vets. Been taking my pets here for years. 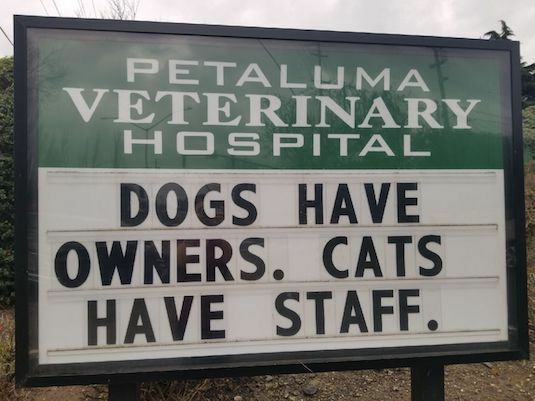 Great personable staff, love the vets.